South Africa Strikes Gold with A Gavel! 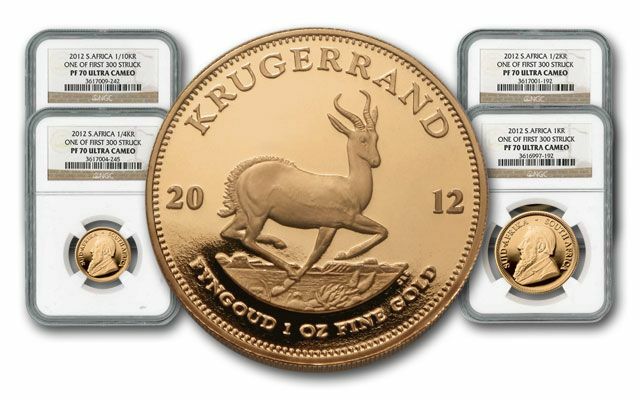 But, speaking of time, now is the time to secure South Africa's best-known gold set - the stunning new 2012 Gold Krugerrand Proof Set. 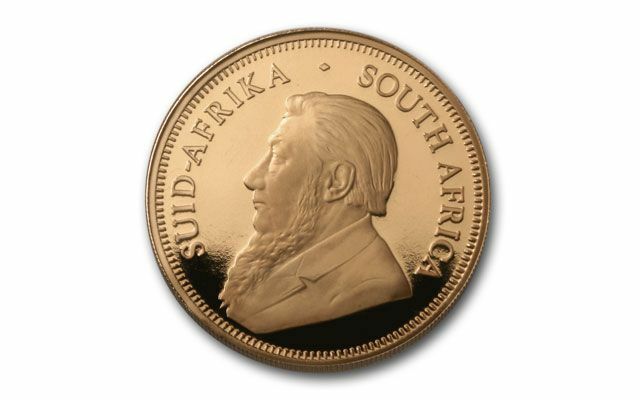 45 years ago, the Krugerrand set the standard for all other modern gold coins, and it remains a powerful protector of wealth for millions worldwide. 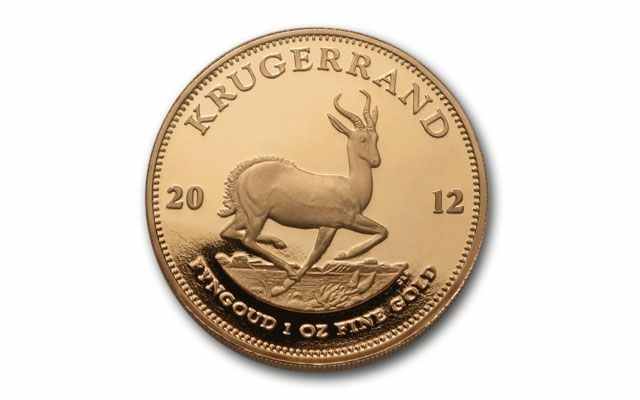 But, those in the know realize that only a mere fraction of the Gold Krugerrands struck each year are of flawless PROOF collector grade. 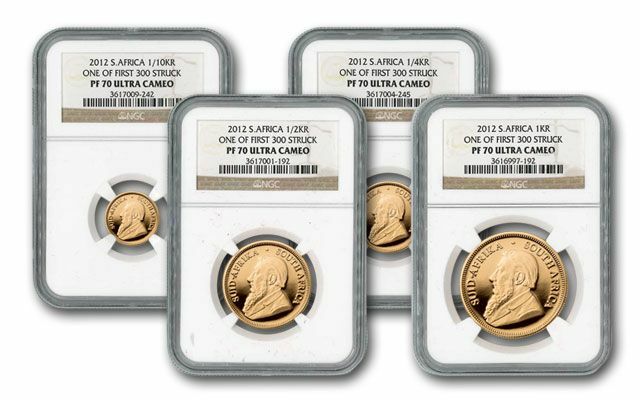 In fact, the award-winning South African Mint has certified only 300 sets to bear the coveted NGC "First Struck" certification this year. Now is the time to secure a breathtaking four-piece Gold Krugerrand Proof Set - each sonically-sealed in matching certified Proof 70 (PF70) First Struck holders. Each set also comes with a serial-numbered Certificate of Authenticity from the South African Mint and a deluxe wood presentation case. The gavel tells the truth: Not all coins are created equal. If you want to own gold that matters, you need to start at the top!